Algotherm Comfort Micellar Water is formulated with organic flower extracts, selected for their soothing properties. 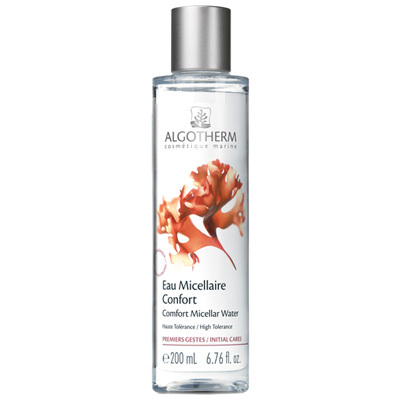 It is an ultra gentle solution that perfects make-up removal and leaves the skin satin-soft. Paraben-Free. Do not rinse.